Friday, April 25, 2014, 6 p.m. - 8:30 p.m.
Join us for a multi-disciplinary art evening featuring live performance, participatory art activities and conversation. The evening begins with a reception at the historic Villa featuring Color Palate, an edible installation and projection organized by artists in residence Christy Chan and Leah Rosenberg. Visitors are invited to consume flavorful and colorful treats such as fruit jellies, carrot curls, and party sandwiches from a banquet table. A live stream projection will capture the evolving composition of color and arrangement. Celebrated Bay Area solo, chamber music, and orchestral performer Brenda Tom will perform Dream for Piano, a haunting ethereal composition composed by artist in residence Howard Hersh, who will also speak about the work. A salon-style conversation brings together featured artists from the L O V E exhibition (Elisheva Biernoff, Fiamma Montezemolo and Alexandra Grant) and Patricia Maloney, founder and editor in chief of Art Practical, to discuss the role connecting plays in their work and the challenges and opportunities for connecting with one another in 21st Century. The evening concludes with tours by artists Allison Wiese and Aaditi Joshi of their new works recently installed on Montalvo’s grounds. 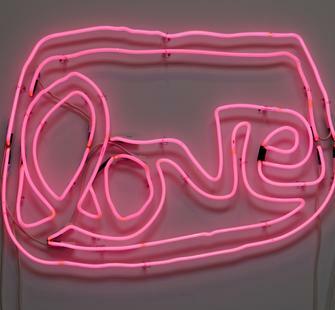 This event is presented in conjunction with the exhibition L O V E on view at the Project Space Gallery February 28 through June 8, 2014. It is organized in association with Flourish: Artists Explore Wellbeing, Montalvo’s latest multiyear programming theme, organized by the Lucas Artists Residency Program.